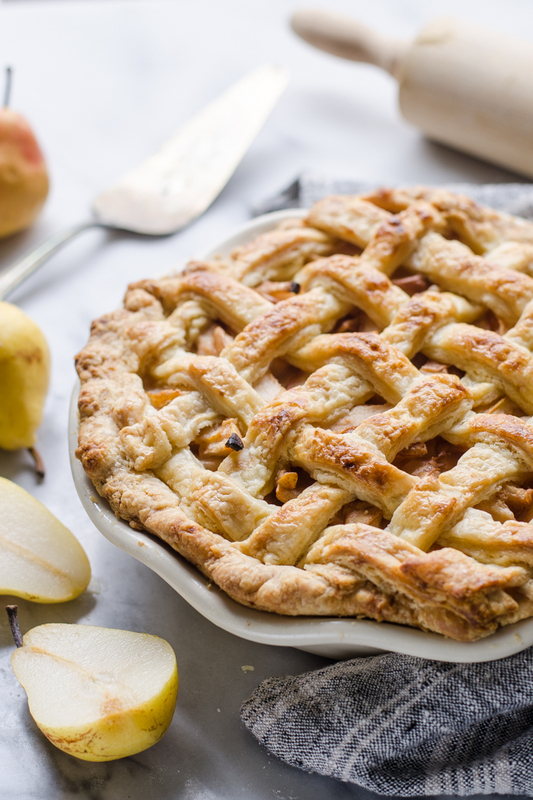 This Spiced Pear Pie is the perfect end to an autumn supper! I feel like pumpkin, apple, and pear are The Big Three of the fall baking fruits (if you count pumpkin as a fruit). But I feel like pears don’t get as much limelight as apples and pumpkins. Which is such a shame: they’re one of my all-time favorite fruits! Last month, I decided to buy half a lug of pears from my mom. And I’m so glad that I did! Even though they were seconds, they had an amazing flavor and texture. We had them plain, with whipped cream (SO good), in a Pear Dutch Baby, and (of course) this Spiced Pear Pie. 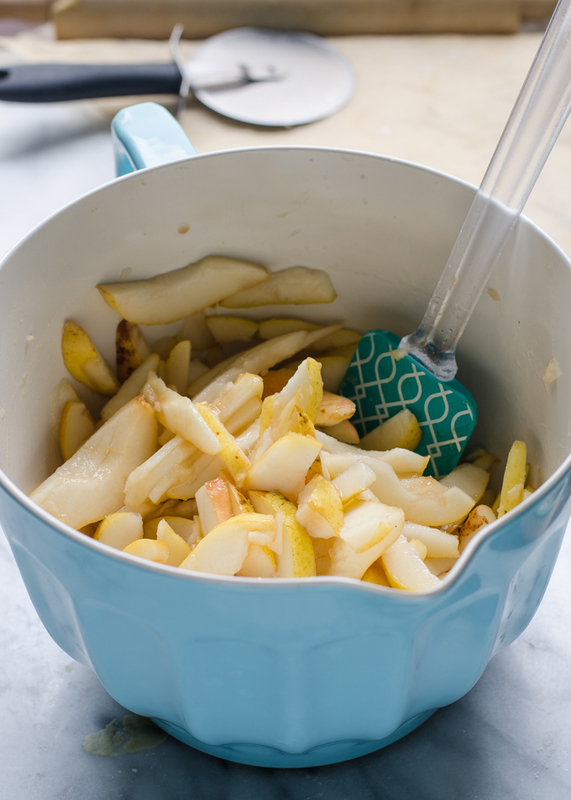 To make the pie, start by slicing up some pears. You can peel them if you like, or leave the peels on like I did. Next, you want to toss the pears with some flour and spices. The flour helps the pie filling to thicken in the oven, and the spices add a touch of lovely fall flavors. 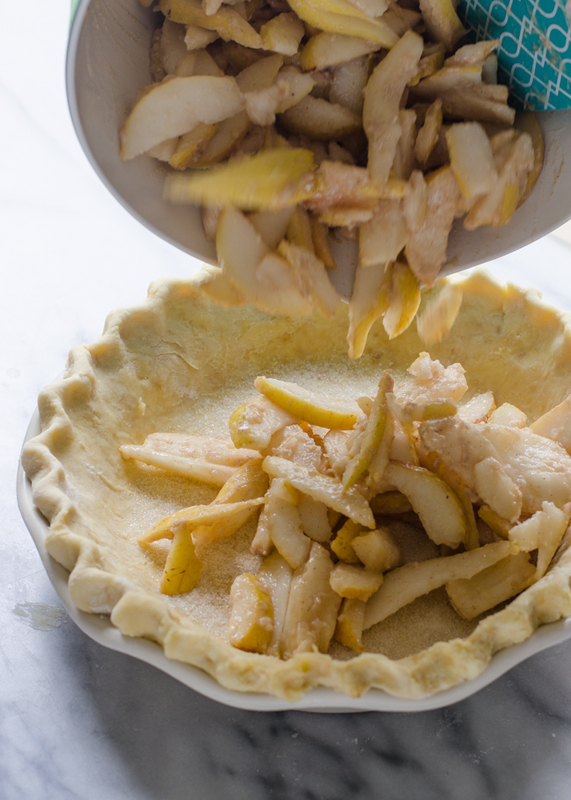 Before you fill your pie crust, sprinkle it will some cane sugar. This helps to prevent the bottom crust from getting soggy. Now dump in your pear mixture and even it out. Top with a second pie crust. You can do a lattice like I did, but a plain ‘ol topper would be great as well! If you opt for a plain top crust, don’t forget to cut some holes in it to allow the juices to escape. BTW – I used my Sourdough Pie Crust for this recipe. 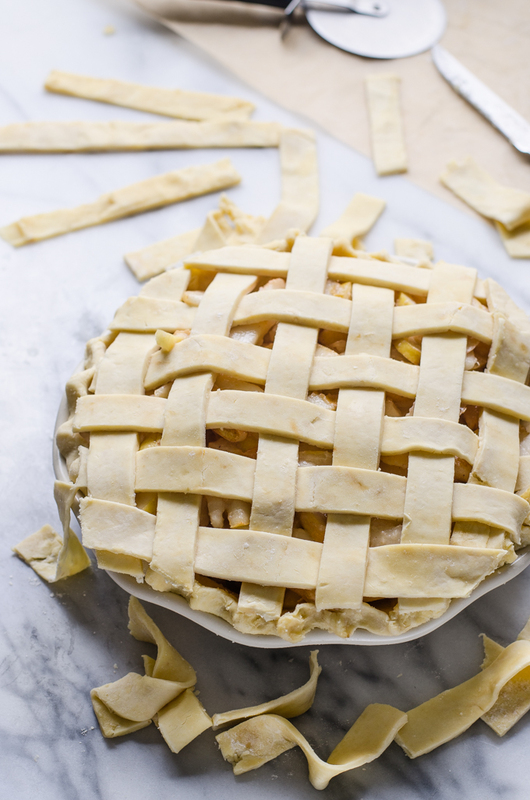 My biggest tip for success with lattice crusts is to freeze your strips of pie dough on a cookie sheet before attempting the weave. It makes it a lot easier to work with! 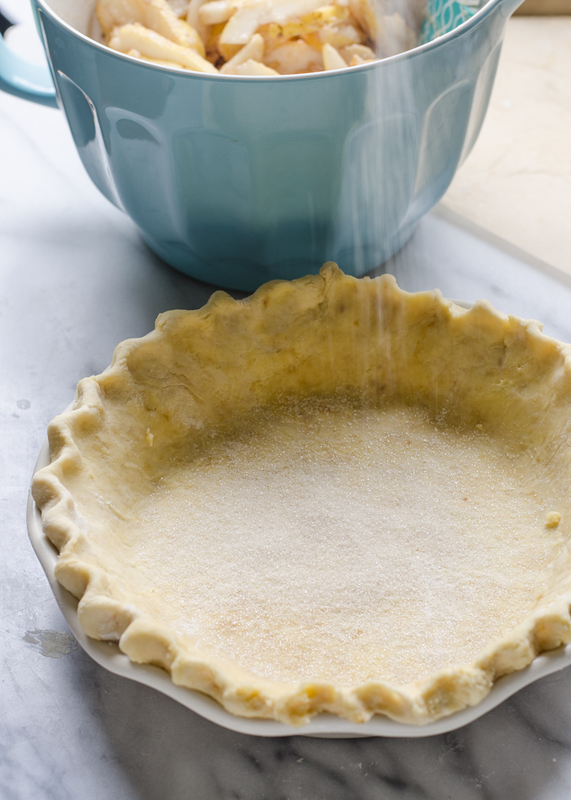 After you’ve topped your pie to your liking, brush the top crust with heavy cream. Serve with a (large) dollop of homemade whipped cream. This is the perfect end to a fall meal. 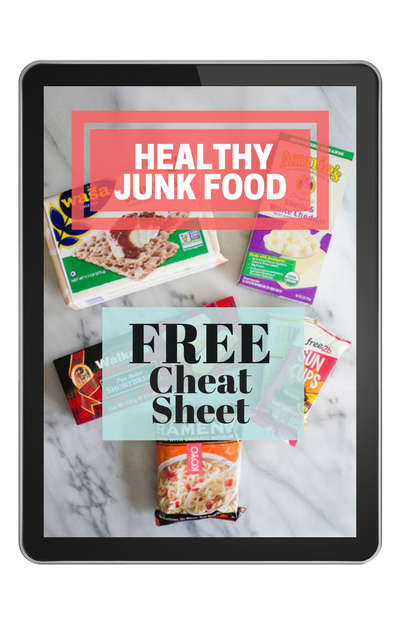 Or you could eat if for breakfast: no judgement! 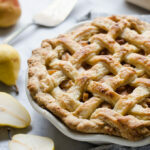 I drastically reduced the amount of added sugar in this spiced pear pie. In fact, there’s only 2 tablespoons in the whole pie! 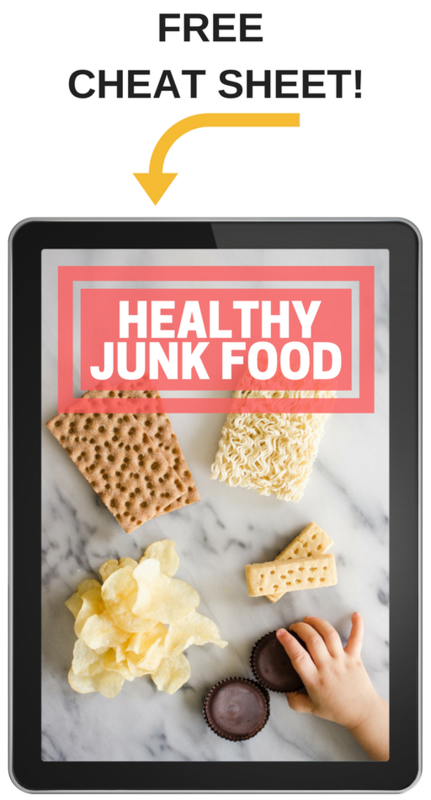 If you like your desserts on the sweeter side, you can up the amount of sugar to 1/2 cup. 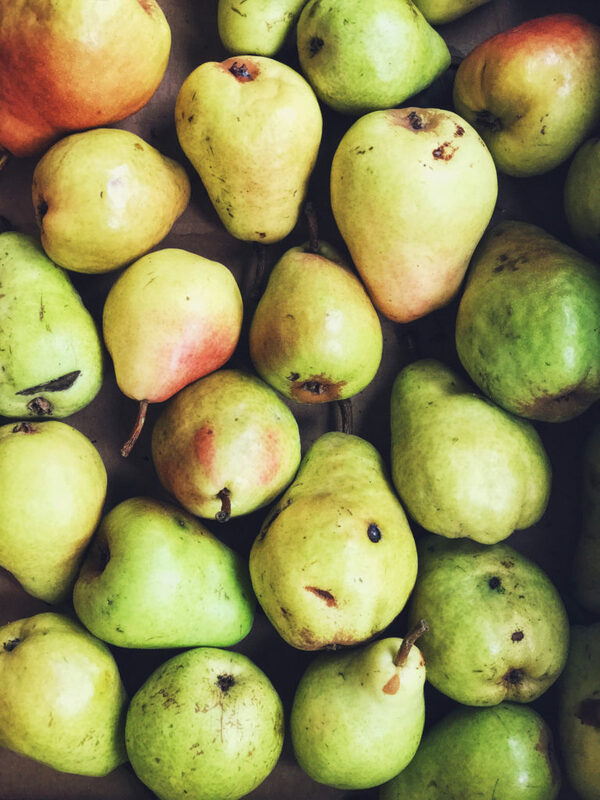 Also, the sweetness of your pears can affect how much sweetener you need to add. 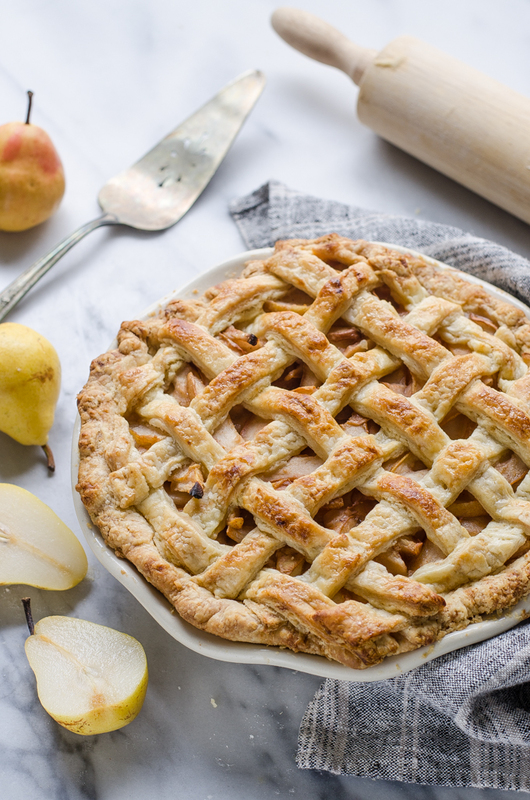 This Spiced Pear Pie is the perfect end to a fall supper! Top with a dollop of vanilla whipped cream. 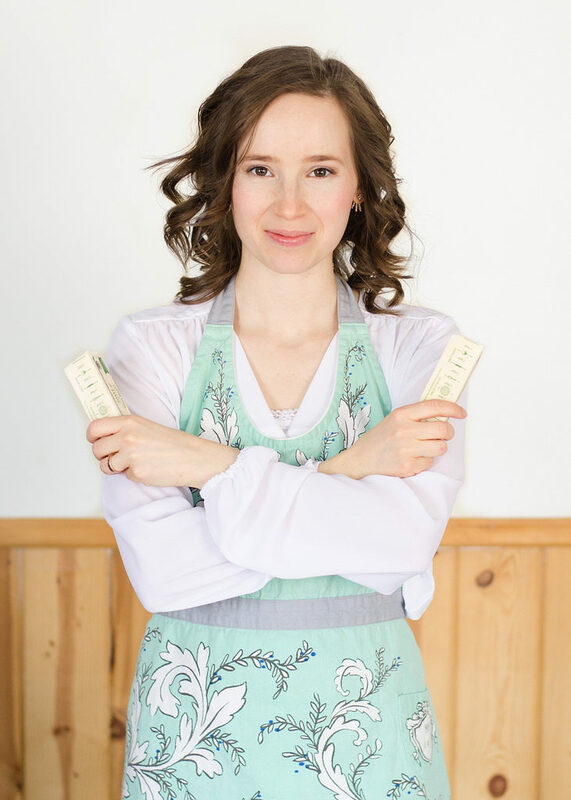 In a small bowl, whisk together the flour, spices, salt, and 1 tablespoon of the sugar. 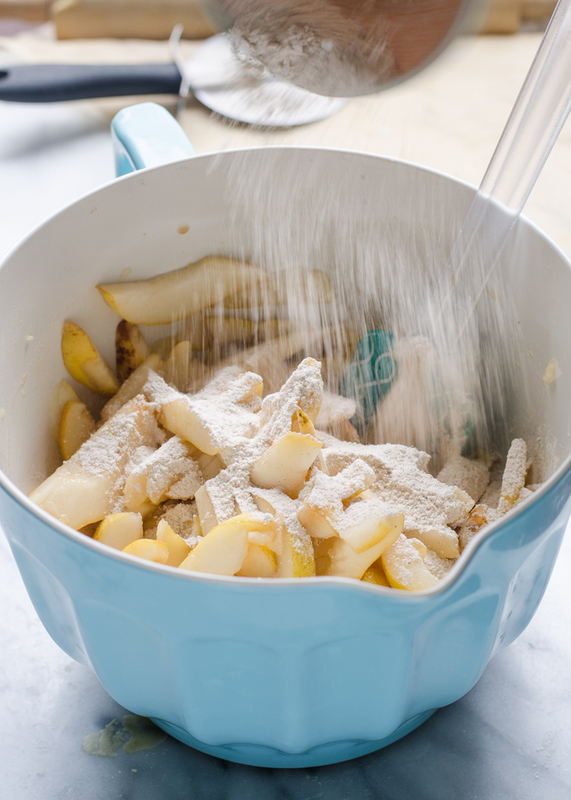 In a large bowl, toss the pears with the vanilla and flour/spice mixture. Roll out half of the pie dough and line a pie dish with it. Sprinkle the remaining 1 tablespoon of sugar over the bottom of the crust. Pour the pear mixture on top. Roll out the other half of the pie dough and place it on top of the crust. Trim and crimp the edges. Brush the top of the crust with the heavy cream. Place pie on a rimmed baking sheet. Bake in preheated 425 degree oven for 20 minutes. Lower the temperature to 375 degrees F and bake until the crust is golden brown and the filling is bubbly, about 50-60 minutes. Tent with foil or a pie crust shield if the crust browns too quickly before the pie is done baking. 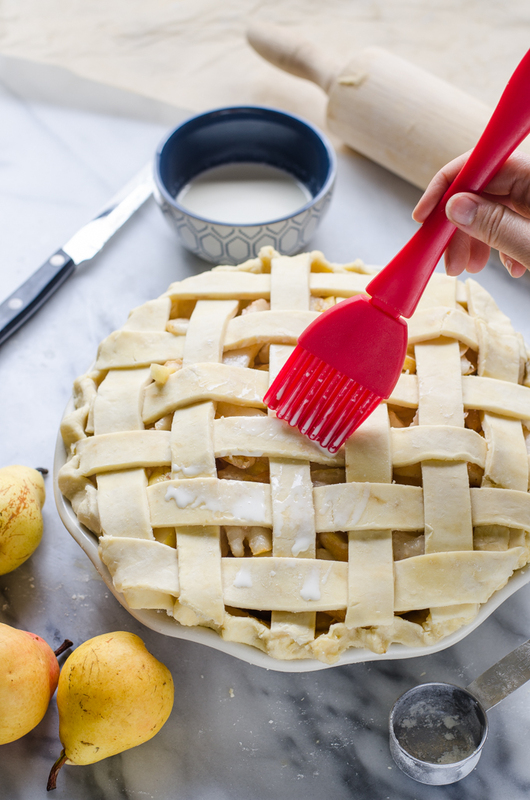 Remove from oven and cool in the pie pan on a cooling rack for a minimum of 2 hours before slicing. Serve with whipped cream if desired. I used my Sourdough Pie Crust recipe. 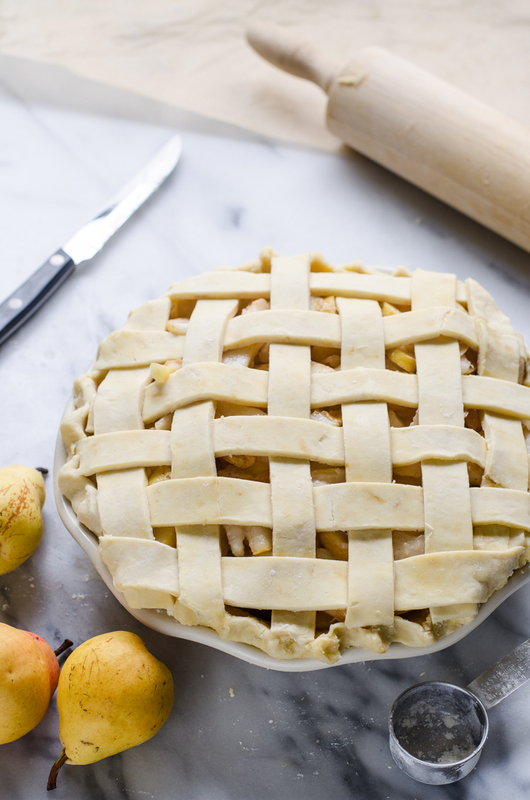 Your pie crust is absolutely beautiful! I hate pears, I think it’s a texture thing for me. I have just never liked them. The one exception would be the wonderful Harry and David pears. I always buy a box of those at Christmas time and they are so good. I totally agree – there’s a huge different between an inferior pear and a really good one. 😊 You could always substitute apples in this recipe if you like! I came across your pear pie and I think it would be perfect for a Thanksgiving Pie Post which I am putting together for my site, Just a Little Bit of Bacon. I’m planning to post in the next week, so I would appreciate it if you would let me know if I can use one photo along with a link back to your post. Yes, that’s fine to use my photo on your blog with a link back to the original post. Thanks!